The smile prolongs life, experts are categorical. When one laughs, the hormone of happiness is released into the body. It is scientifically proven that in smiled people the impact of stress on the body is minimal. If a person learns to enjoy the little things, if he approaches a positive attitude towards everything that surrounds him, his body will work without any extra load. The end result is to extend life and improve its quality. Experts believe that those of us who smile often look much younger than their own, although a lot of wrinkles appear on their face. Paradoxically, this statement comes directly from the cosmetologist Emma Doljikova, who is the general director of the Center for Beauty Institute. On the occasion of the World Smile Day, which is celebrated every first Friday in October, the cosmetologist said that even though the smile helped create the mimic wrinkles, it was the means of looking younger. If a person smiles more often, the faults of his face are more difficult to notice, he seems much younger. The reason is that the smile is first glimpsed, says Doljikova. According to her, eternally frightened people have a lot more wrinkles, especially on the forehead, which are noticeable much easier. In addition, the negative attitudes are proven cowards, introverters, keep a more closed lifestyle, and have fewer friends. All these factors are a prerequisite for human misery. Most people have some inconvenience to smile without reason or occasion. If a person in his workplace allows himself to enjoy hearty things and to smile constantly, he risks taking on his behavior as frivolous and unprofessional. On top of that, his frightened colleagues are more likely to hate him than to take that approach. 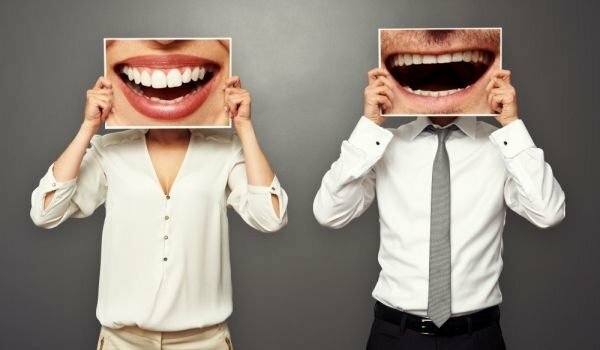 It has been found, however, that if one walks along the street and smiles, 80% of people perceive this behavior fully, half of them ready to smile as a response. Cosmetologists and psychotherapists are unanimous that smiling people and optimists live longer than pessimists.